32,354 others viewed this post. 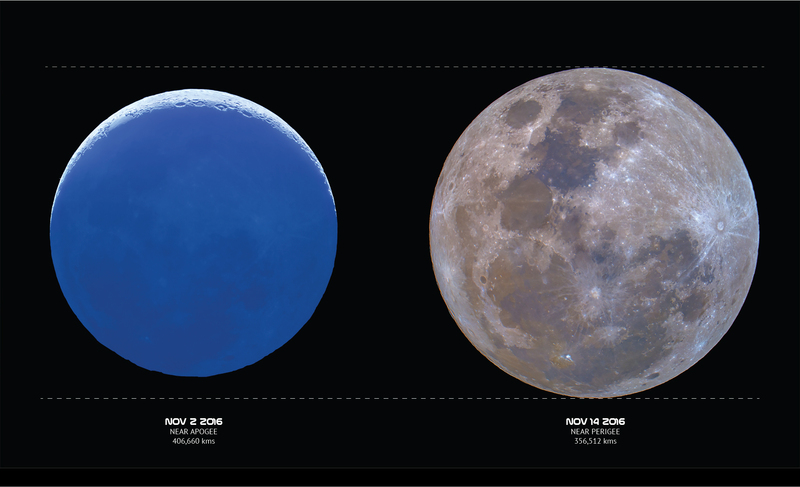 Did you catch the *cough* Supermoon? 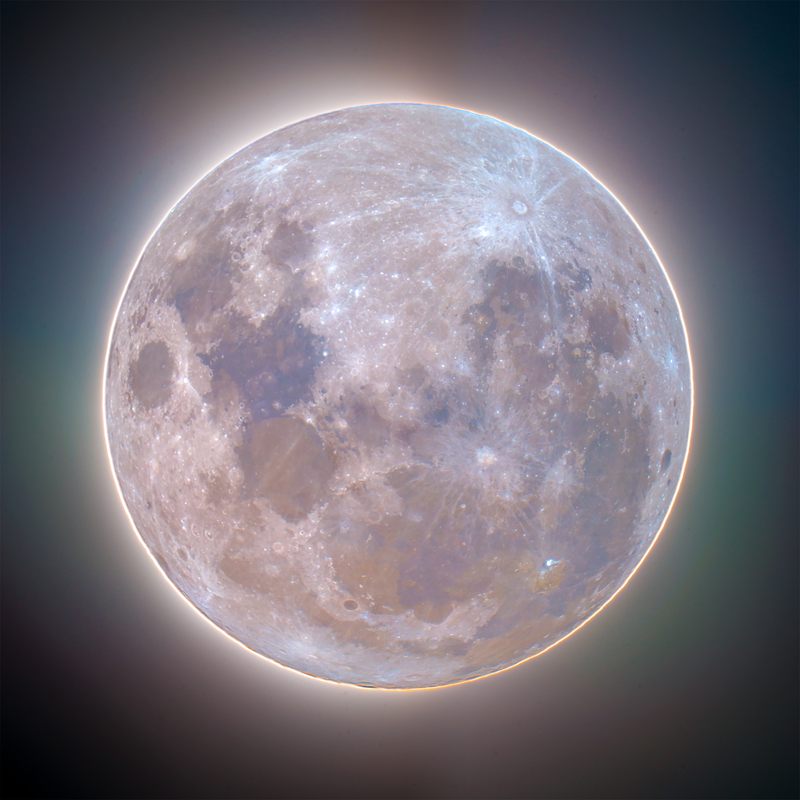 “Supermoon” is an astrology term. Astronomically speaking, it’s called a syzygy-perigee and is very common as the moon swings near and far roughly once every 2 weeks. The media and popular culture have become enamoured by the term in recent years, despite the event being fairly ordinary to view – it’s just another full moon, imperceptibly closer. It is fun to watch social media explode with photos of the moon though! I took these two photos of the moon 12 days apart using exactly the same equipment. Tonight’s ‘Supermoon’, the closest since the 1940’s was preceded by the furtherest apogee distance in 2016, meaning the moon has moved a total distance of 50,148 kms closer to Earth in only 2 weeks! Most sources said to expect a 14% scale increase but my comparison measures closer to 15%, I could be wrong. Both images taken from Byron Bay Observatory with Celestron 9.25” Edge HD / Lepus 6.3 Focal Reducer and Canon 70D DSLR.